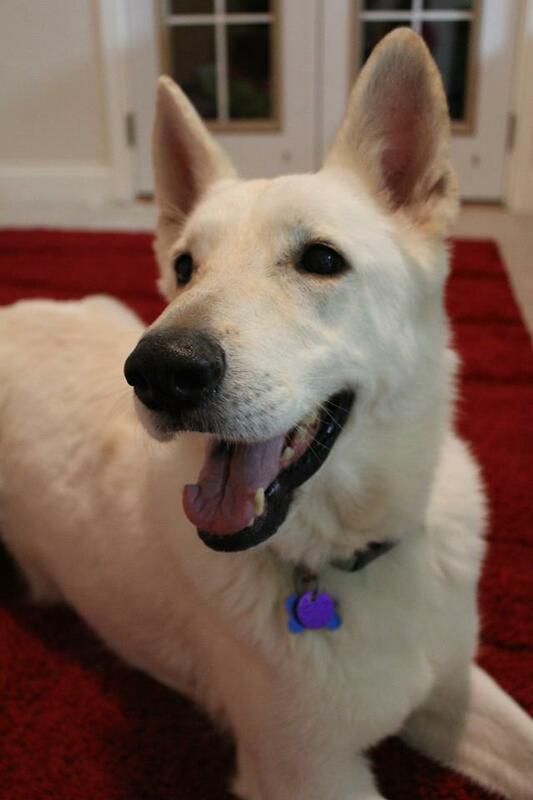 The German Shepherd Rescue of East TN asked help with their rescue dogs, Heidi and Duke. Heidi was up for annual vaccines, and Duke has a condition where he needs medicine each day. We sent their vet $135 to cover these fees. Any time a rescue pulls an animal from a shelter, there are costs. There could be a fee to pull the animal, and there are always costs to vet the animal. Sometimes those costs prove to be high if the animal has a health issue. 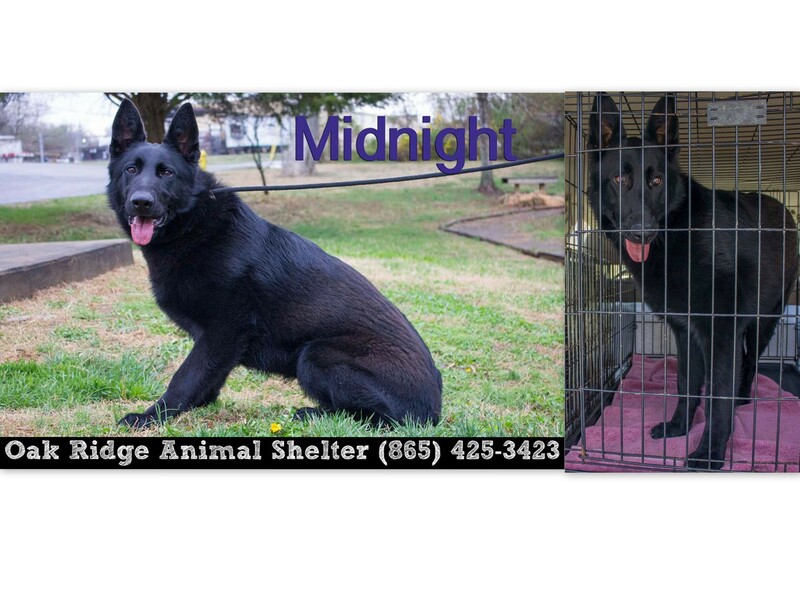 Such was the case with Midnight, who was recently pulled from the Oak Ridge Animal Shelter by the German Shepherd Rescue of East Tennessee (GSRET). Midnight was surrendered by her owner because she was literally chewing her tail off. Anyone who owns German Shepherds knows they need a job to do, and they need socialization, or they can be destructive. Midnight was either kenneled too much or left alone too long, and she was bored. Her tail was in such bad shape that it had to be amputated. The GSRET had to eat those costs, which directly influences how much they are able to provide additional help. Now that Midnight has been all fixed up, she is ready for a foster family and will eventually be rehomed at a place where she is given much-needed attention. 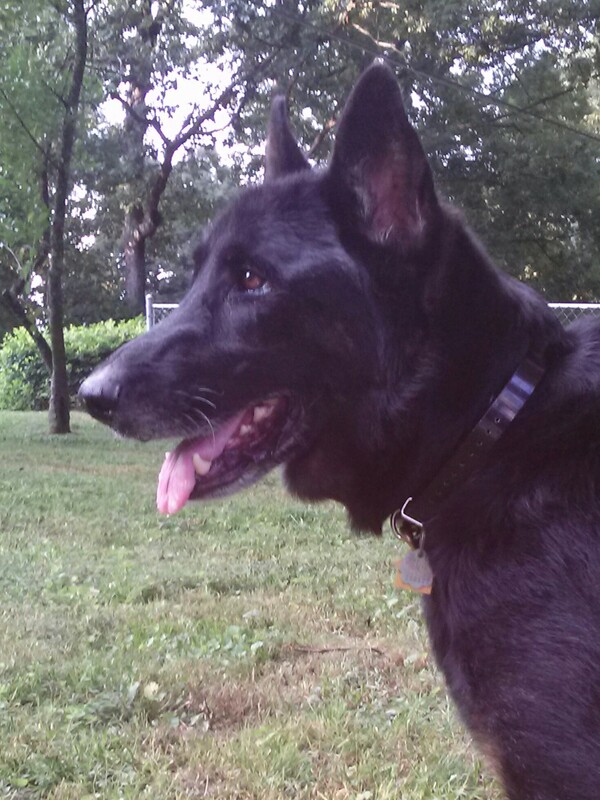 Duke is another German Shepherd in GSRET’s rescue operation. He has an autoimmune disorder that requires ongoing medical care. With monthly maintenance, he lives a great life, but again that doesn’t come free of charge. The Helping Paws Animal Network wanted to assist our “German” friends with a contribution to help them with all these costs so they can continue in their mission. 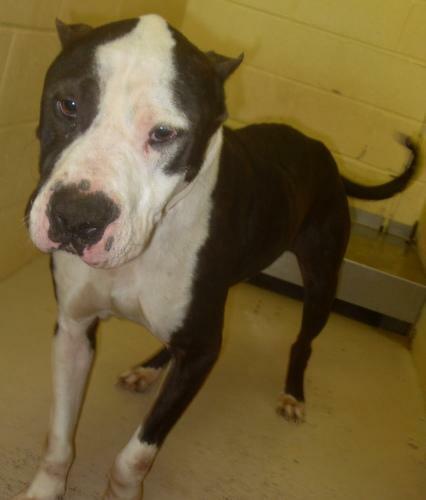 Several months ago, HPAN assisted with the expenses of a transport for Duke, an emaciated Pit Bull, who was rescued from the Loudon County Animal Shelter by one of our sponsored rescuers. 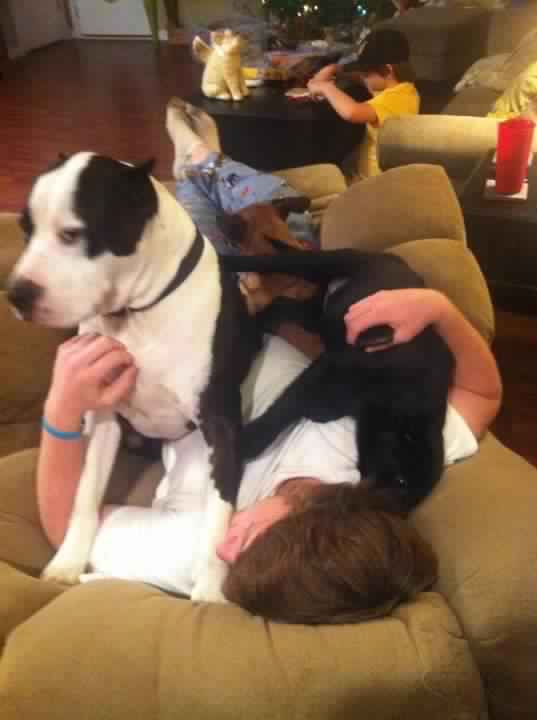 She sent him to Alabama to meet a rescue there. 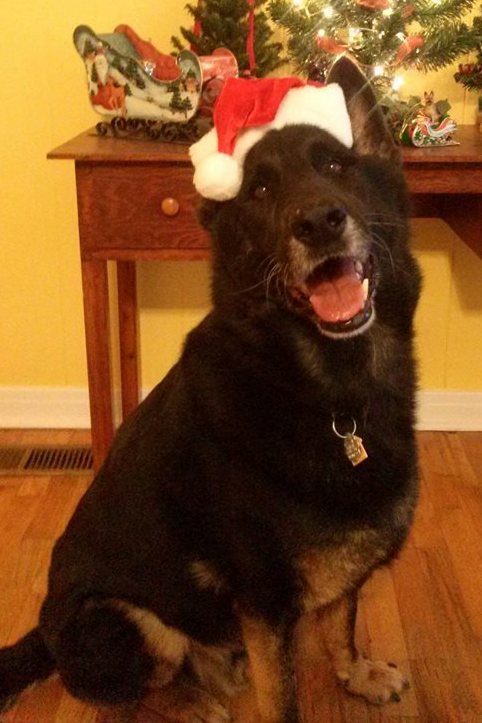 We recently received a picture of Duke in his new home. See his “then” photo above and his “now” photo below! Helping Paws assisted with Duke’s transport. Linda Howard, Loudon County rescuer saved him from the sh elter. Duke actually looks better in these pictures than he does in person; you can’t see how bone thin he is or the bare places on his boney hips and tail. The boy has suffered at the hands of the previous owner, but he has shown no aggression. He is now good health. He is a gorgeous dog with very pretty markings. He will be going to Grassroots Rescue.